While it is mostly well known as the 'Historic State' for its rich historical heritage, Melaka also has plenty of tasty culinary options to offer. The choices are vast at Melaka: from the common dish like dim sum to the more interesting things like traditional cakes. You might be surprised that Penang isn't the only place in Malaysia with so many great foods to try; and most of them have a distinct but great taste too. 'Kuih', also known as 'Kue', is the Malaysian word for 'cake'. While different from western cakes, the traditional Chinese cakes sold at Baba Charlie is legendary for its taste. There are many kinds of cakes sold here: from coconut cakes, cassava cakes, rice cakes, to other things you can try. Price of the cakes sold here range from RM 0.60 to RM 2 each, which is very affordable. At that price, you can try one if each type! 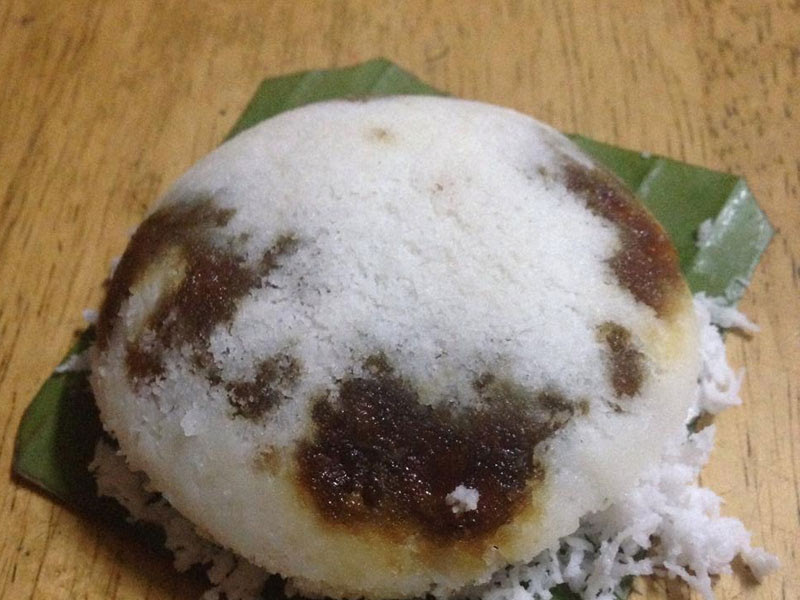 'Putu' is one of my favourites as it is bursting with sweet flavour! This traditional food can be found in many places across Malaysia. It is made of rice flour, sweet grated coconut, and a mix of several spices. There are several kinds of Putu; Putu Bambu is cooked inside of and served with bamboo, and Putu Piring is served with plates. Sold for a mere RM 1 per piece, I would probably get a whole bunch. Putu Piring Jalan Tengkera offers yummy Putu, with a unique sweetness you won’t forget. Cheap and tasty! Each table gets a fresh pot of sauce which will then be mixed with gula Melaka, spices and peanut. The concoction results in an aromatic spicy peanut sauce which you will use to dip everything in. A fire is placed under the table to ensure your sauce stays hot enough to cook the food. I personally recommend the bread cubes as they go amazingly well with the sauce! Dip them in for about 3-5 seconds until they are soft and coated in the sauce. Heavenly.. Grab whatever you want from the fridge - the food are placed on stick, priced at RM 1+ each while those on plates are priced differently. Heng Hong Tin Tee Restaurant is one of the most popular Hainanese Restaurant in Melaka. While they sell a lot of Hainanese menus like Hainanese Pork Chop, Hainanese Lotus Leaf Chicken, etc. 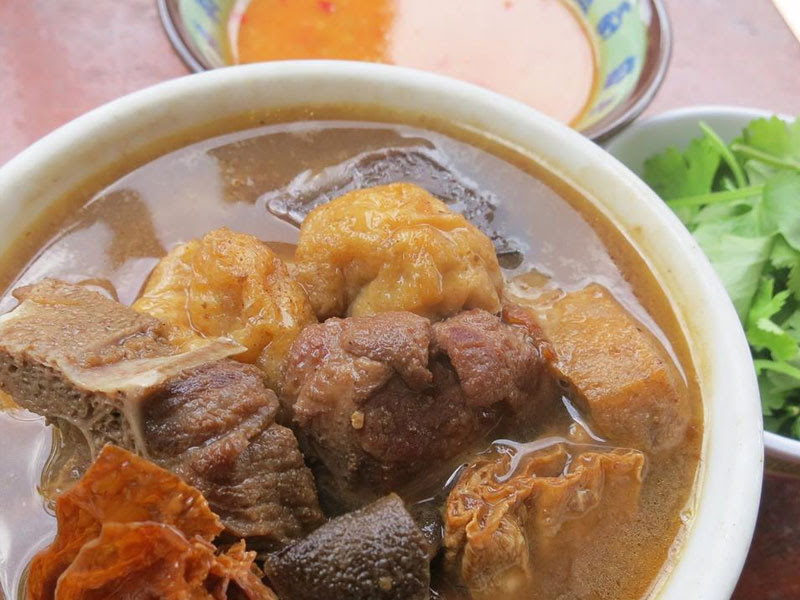 the one menu you should try here is the Hainanese Mutton Herb Soup. With a generous amount of herbs in their soup and tender muttons, the dish offers a strong aroma. And those are only a fraction of the dishes you should try when you visit Melaka! Interested to try them all and more? If so, plan your vacation to Melaka right now~ The place is easy to reach because of its status as a popular tourist destination. There are also a lot of cheap Melaka hotels and cheap flights to Melaka available. Go book them from sites like Traveloka and have fun for your next vacation! 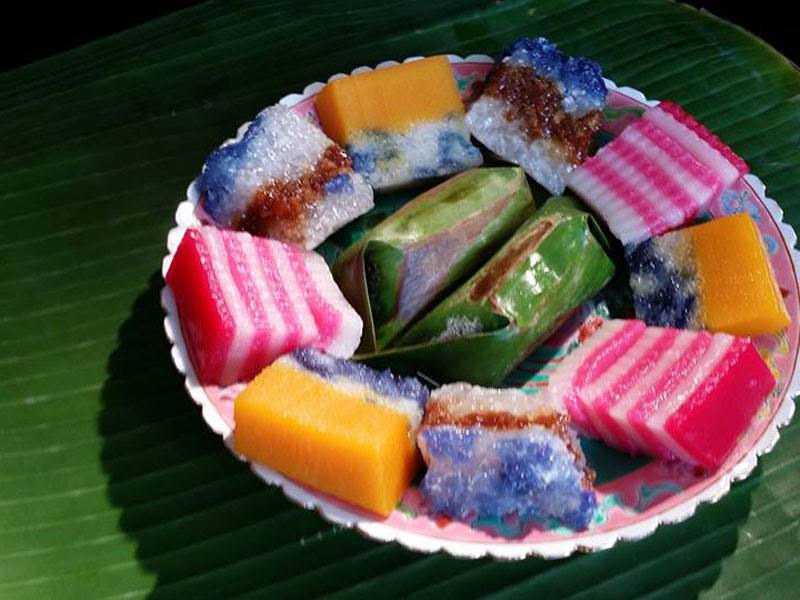 I love malacca food.. ALl of it are so yummy and delicious.. Wanna go back and eat..
nyonya kuih are always my favorite food ever..and that putu piring have so much gula melaka in it.it surely taste good! Great list there but I stay away from sweet kuih and red meat. When I am in Melaka, I go for cendol and pork satay. Wahhh!!! 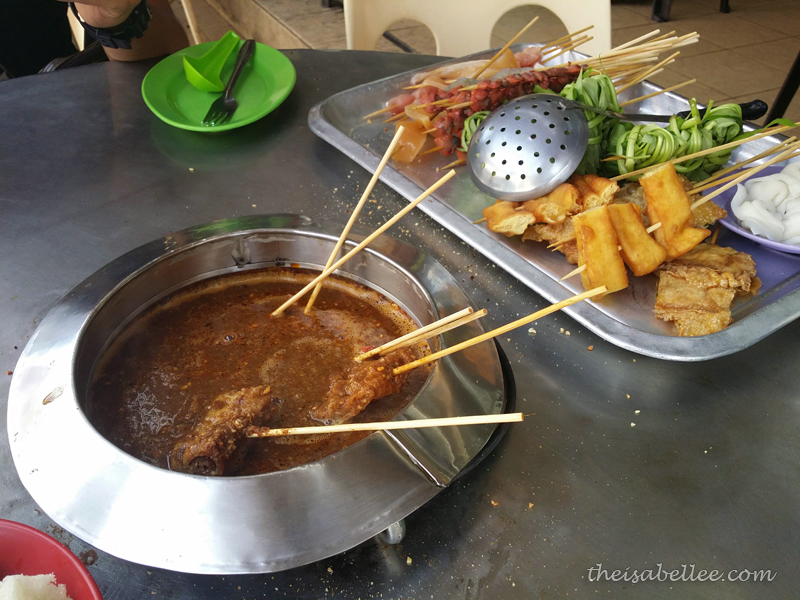 Every time I go to Melaka I will try my very best to dropby the satay celup restaurant. Its one of my favourite food, hot and spicy i like it.